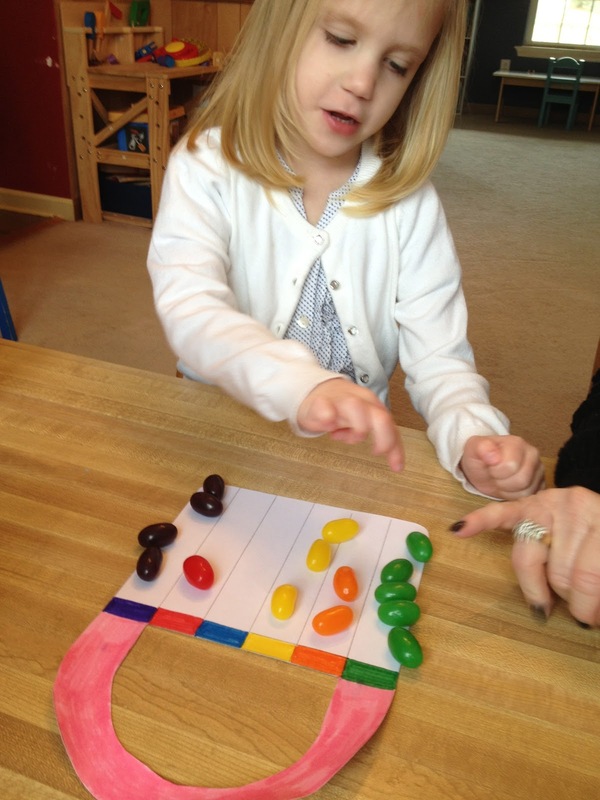 This fun game focuses on counting and graphing. Plus they are yummy to eat! 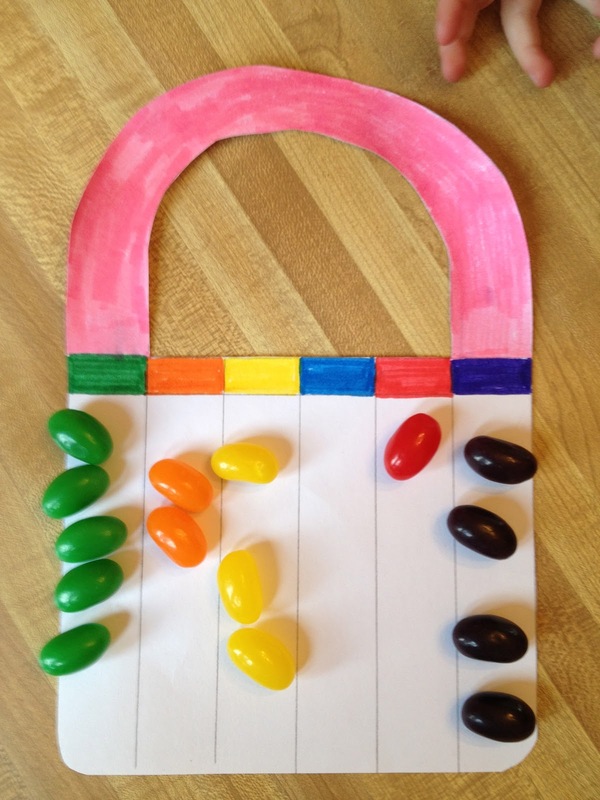 I made a cutout of an easter basket and drew columns with color codes on the top. Place a small bowl of jelly beans out and have the children match the jelly beans to the correct color and place it in that column. Have the child count the number of jelly beans in each column. After the child counts one column, let her eat one of the jelly beans. Then have her recount the column. Explain that she had 5 beans, ate 1 and now has 4 beans.